I’m excited to announce Unwrinkling’s first giveaway. One lucky reader is going to win a free pair of Inkkas shoes of their choice! Inkkas-wearers in the communities in which the shoes are made. Note: All photos in this post courtesy of Inkkas. A few months ago, the Bangladesh garment factory tragedy prompted me to grapple with the ethical implications of being a consumer in the Western world. I raised challenges to the status quo, but the only real alternative I offered was thrifting—a great alternative, but an incomplete one. Though it’s difficult for a die-hard thrifter like me to admit, there are a few things for which thrift stores simply can’t be counted upon. How does the ethical consumer then proceed? Companies like Inkkas can help provide a way forward. 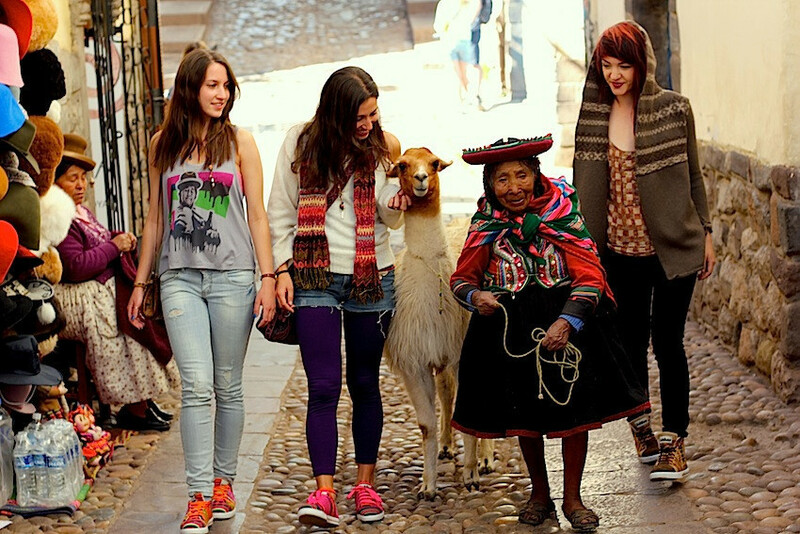 Inkkas is a socially- and environmentally-conscious startup based in South America and established on the principles of local production, philanthropy, and authenticity. The company makes sneakers featuring traditional South American textiles, and the shoes are sourced, produced, and manufactured in South America by local artisans. In addition to encouraging fair trade practices and producing 100% vegan products, Inkkas donates 10% of their proceeds to an NGO that helps protect the Amazon rainforest and its inhabitants. In short, Inkkas is doing everything they can to make buying their shoes a morally responsible choice. It’s exciting to see a brand using fashion as a vehicle for social and environmental betterment, while managing to avoid the pitfalls of business models like TOMS’. Equally exciting for you is the fact that you could win a pair of Inkkas of your choice for free! Considering the fact that these sneaks are sold for €99.00 at Urban Outfitters, this is good news indeed. 4. For readers who have already done the above, invite a friend who’s new to Unwrinkling to like, follow, or subscribe, and have them leave a comment below with your name in addition to their own. You and your friend will both be entered in the giveaway. The giveaway is open to readers worldwide, and will be run until Sunday, August 4 at 10 pm CET. The winner will be announced the following day. AND THE WINNER IS… Chris Kuhlow! Congrats, Chris, and thank you so much to everyone who made this giveaway a success both by entering it and sharing it with others. I sincerely wish I could give you all a pair of free Inkkas—I’ll just have to look for a sponsor to host another giveaway soon, I guess. Have a blessed Sunday! 49 Responses to "Inkkas Shoes – Giveaway!" oh gosh I love all shoes! But I love more the Concrete Jungle shoes! Hi Whitney, I’m now following you on Twitter; my handle is jleonardbc. My preferred Inkkas are the Concrete Jungle Low Tops in size US Men 11. Thanks for all the time and thought you put into your site; I’m enjoying following it. Say hi to BB for me! mango low tops size 9. I’ll invite my friend matt bragonier he might be interested in your blog. I subscribed to your emailing list! Honestly, I love all their shoes, but my first choice would be a pair of Mango high-tops, women’s size 7. This is awesome! I like the Blackbird style, women’s size 8. Also, a my friend Chelsea Molin sent me here from a Facebook post. Whit, I’m lovin’ these shoes and what this company does! Totally entering this giveaway. Personally, I am a fan of the London Sky style, size ten. OMG!!! I have fallen in love with everything! The idea, concept and design! and I wish you all great wealth and happiness! Black Spectrum, US women size 8. I absolutely love the bluebird high tops size 8. These are so awesome! I might even have to buy a pair if I don’t win. London Sky, Men’s 12 US. I absolutely love these shoes. 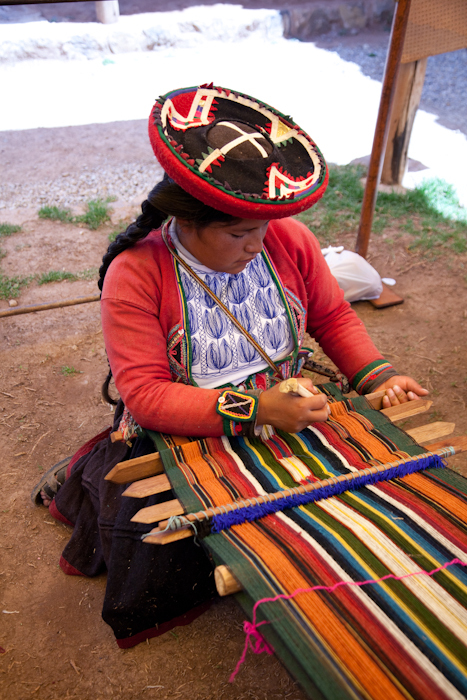 I grew up in Bolivia and saw the people who make this textile. This kind of fabric was everywhere and reminds me of home. I would Bluebird low tops in a women’s size 9. Love these shoes and the conscientiousness they promote. I love the Black Spectrum Low Top and wear a Women’s Size 8! Dark high top Shadows, size 9/10 . yee ! omg! AWESOME idea! I’ve always wanted a pair of inkkas! I liked unwrinkling on facebook and was tempted to read your blog, and I have to say that the rainbow eye makeup is so gorgeous! The shoes are soo cute! xD so anywayz.. I already have a pair of Bluebird lows (size 8) but the daughter of a friend of mine would love the Blue mist high tops (in a size 9). I love ‘Concrete Jungle Low Top’ and size Euro 41.
took me forever to decide, but i have to go with London Sky in high top style!! and in the size 6 in womens! 🙂 ahh i hope i win! and i’ve done all of the liking/following/subscribing terms as well! I love the Shadow Low Top size 6! Whit, I’m loving your blog! I invited my sister Alyssa to check it out. My favorite are the London Sky Low Tops, size 9. This is a great blog, Whitney, and the work this company does is amazing! I signed up to receive blog updates. I would like the desert nomad high tops in a woman’s size 9. Sadie would love a size 8 blackbird low top. 🙂 These are so cool. I have never heard of them…..you write about such awesome things. ~ unique and beautiful. i love the colors! any color/style of the ZIGZAGS would be my choice! btw, i was referred to UNWRINKLING and INKKAS by Etta Bauck thru seeing it up on her Facebook timeline . Oh, my. I love them all, but I can only afford one pair. I bought the Concrete Jungle, and will cross my fingers that I win the Bluebird, in size 39. Oak High tops size 44, please. Have always loves the patterns and colors of these textiles. Unusual shoes have been a signature for 40 years. I like all pairs ‘hightop’. Unwrinkling is like a refreshment of reads in the sea that oft is polluted with time wasters. Thx! This is a sweet idea Whitney. Your blog ideas always inspire me. I think these shoes are fabulous! I’d choose cotton candy lowtop size Men’s US 12 unless they run narrow. Then I’d need a 13. Awesome shoes! My sister, Cassandra, told me about this. I liked you on facebook, and we would both love to be entered!